Ever wanted to make your own Google Chrome Extension / App, but didn’t know how to do ? 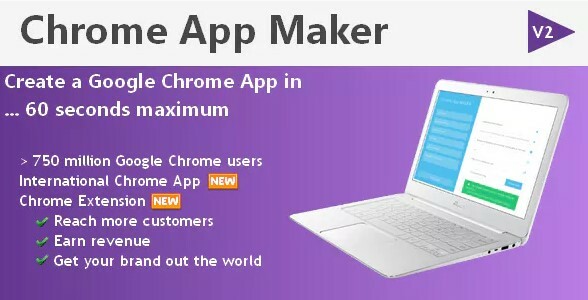 With Google Chrome App Maker, you can make your own Chrome Extension / App very, very, very easily. And the best….........you can make an UNLIMITED number of Chrome Extension / App. With Chrome App Maker, you will generate a Chrome Web App packed in .zip archive. So this App will link to your website.